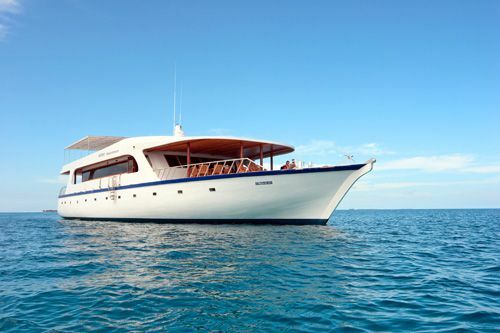 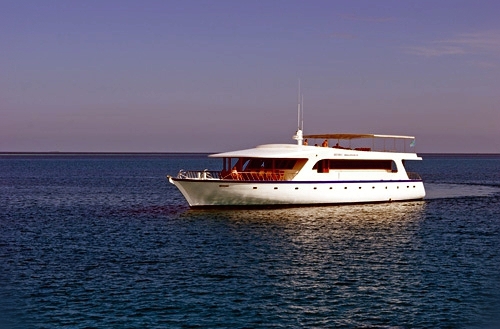 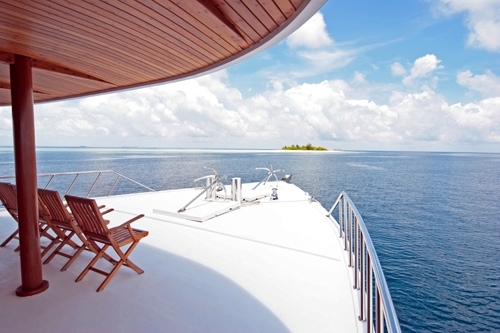 Luxurious, quite, comfortable, the new motor yacht ‘Adventurer 2′ offers comforts similar to a resort. 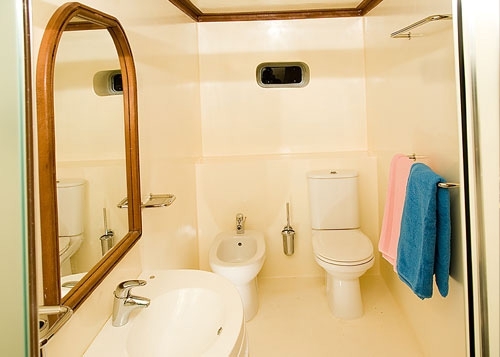 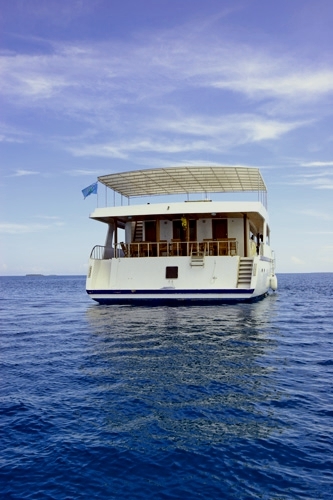 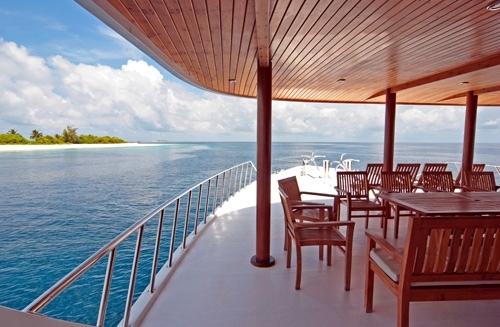 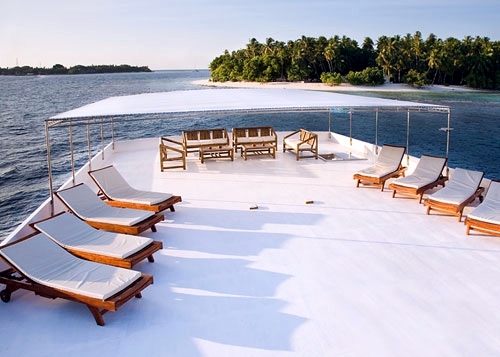 The added advantage is unlike a resort, the guests gets to explore the atolls, and are presented with the opportunity to be away from the masses of tourists. 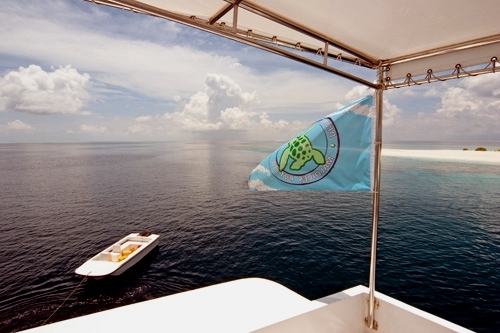 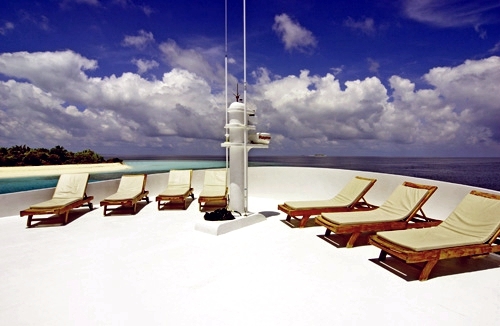 Ideal for scuba divers and others, to enjoy this last paradise. 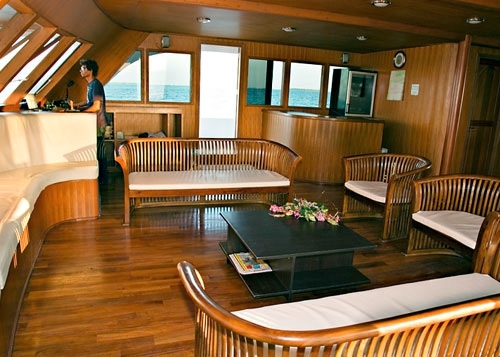 Extensive common area includes a Sun deck measuring 150 sq.m, 2 Restaurants (indoors and outdoors in direct contact with the sea), Bar, Mobile phone, Fax, Internet, Wi-Fi, TV with VCD and DVD etc. 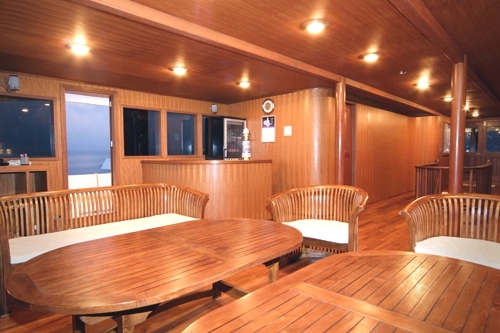 Adventurer 2 has two restaurants overlooking ocean. 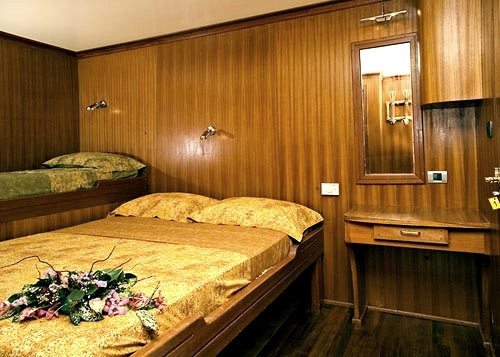 Meals are cooked and served on buffet. 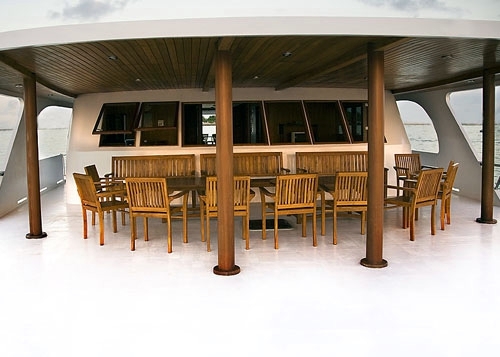 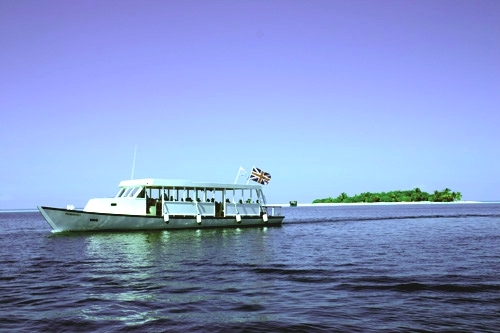 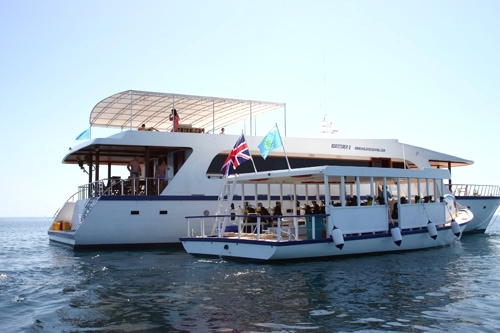 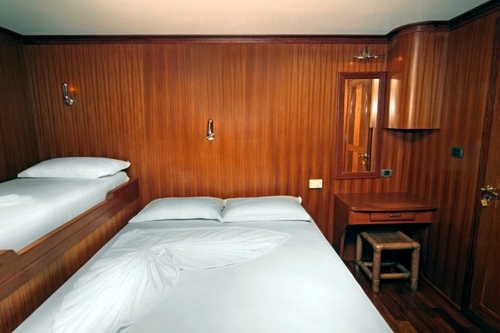 The cruiser also have an extensive bar with all international beverages from alcoholic to non-alcoholic.